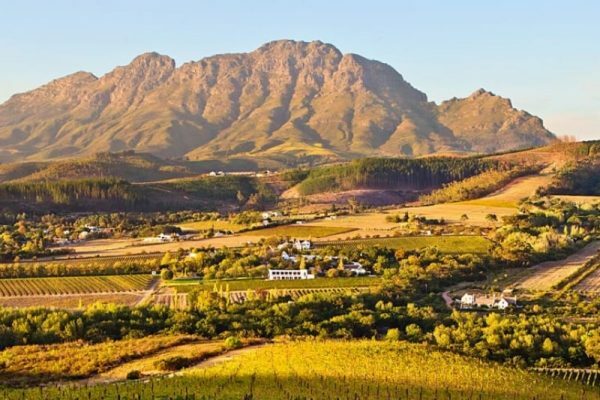 Stellenbosch is home to some of the finest dining in not only the Western Cape, but the whole of South Africa. From award-winning delis and bistros, to trendy wine bars serving local nibbling-type fare; Stellenbosch has it all. Whether you’re a proud vegan, or an admitted meat-loving carnivore at heart, there’s a restaurant in Stellenbosch sure to sate your appetite. Keep reading for our list of favourites and what makes them special. Describing themselves as the home of delicious and delightful food in Stellenbosch, Jardine is a laidback bistro-style eatery with an upmarket twist. Their cooks with only the freshest locally grown organic produce, and as such, their menu options are limited and the menu changes daily depending on the produce the chefs have at their disposal on any given day! That way, you’re always in for a brand new treat! Definitely not the kind of eatery where patrons can end up in ordering rut; Jardine pushes foodies from all over the world to test their limits and try new and exciting dishes prepared using only the very best seasonal ingredients. Jardine is located at 1 Andringa Street, Stellenbosch, and parking is conveniently available at the Stelkor Pharmacy. To book a table for the two or three course lunch or dinner options you can either book instantly on their website (via DinePlan), or you can visit the Contact Us page on their website in order to give them a call. Due to the nature of the fare served at Jardine, and the limits placed on the chef and kitchen by the locally grown, organic produce available, Jardine will go to every length possible to accommodate food allergies or intolerance, however, sometimes substitutions and accommodations are not within the realm of possibility. If you have severe food allergies we’d recommend calling Jardine in advance in order to alert the kitchen to your needs when making your reservation. Bertus Basson is a world-renowned South African chef, who works wonders with maize and protein, which he believes form the basis of South Africa’s native food philosophy. After experiencing great success with his first restaurant, Overture, which Bertus opened in 2007, he expanded his empire to include the restaurant that gets our seal of approval for those looking to dine out in Stellenbosch: Eike. Housed in a famous historic building on Dorp Street, Eike is all about celebrating those foodie traditions that make South Africa unique. Diners can expect traditional South African fare with a modern, eclectic twist! Serving only a fixed menu that changes based on the seasonal produce available, Eike can accommodate dietary requirements and allergies, but advanced notice is appreciated and the absence of trace amounts of certain allergens cannot be guaranteed. An unusual but pleasant surprise for some is the restaurants strict “no smoking” policy. The restaurant bans all forms of cigarette, electronic or otherwise. Eike is small and intimate and better suited to quiet dining than a raucous night out. Worth noting is that Eike does not take reservations for parties larger than six, and that the set menu price of R850pp excludes drinks. No mention is made on their website of corkage or their wine offerings. You can visit their website for more information or to find their contact information in order to make a reservation. Note: Eike is closed on Sundays and Mondays. A relaxed or street-diner’s dream, De Warenmarkt, situated in the heart of Stellenbosch, on Ryneveld Street, is a hip and happening collection of uniquely South African eateries and other service providers under one roof. Offering everything from an oyster and champagne bar to organic vegan fare, spices, cheeses, a carvery and more! For more information on when and where to get your artisanal food fix on, visit De Warenmarkt’s website. No reservation is necessary and all seating is family-style! If you’re looking for a uniquely South African street-dining experience in Stellenbosch, look no further than De Warenmarkt. The Fat Butcher has fast become a local favourite, and unlike some of the other eateries in Stellenbosch, TFB is open all day every day! Serving signature steaks and placing great emphasis on incorporating local flavour, The Fat Butcher is your one stop shop for excellent pasture raised, grain fed beef. Whether you’re in the mood to take a load off and enjoy a sit-down meal, or are looking to a pick up a more on-the-go snack from their deli, The Fat Butcher is sure to satisfying your hunger pangs. The restaurant is conveniently situated in the heart of Stellenbosch, on the corner of Drostdy Road and Van Riebeeck Street. Worth noting is that, while they’re famous for their beef steaks, TFB does also cater to pescatarians, but vegetarian and/or vegan fare will be hard to come by! Best to give this steakhouse a skip if fine South African beef and burgers aren’t your style. For more information, to check out their menu, or to make your reservation, you can visit The Fat Butcher’s website. You’ll be spoilt for choice at Lanzerac! Whether you’re looking for a spot to enjoy breakfast, lunch or dinner, Lanzerac’s got you covered! The award-winning Lanzerac Deli is fully equipped for all your light lunch needs, and serves a killer all-day breakfast! If you’re looking to celebrate in style, or simply take a walk on the finer side of life, the Manor Kitchen whips up delectable sit-down dinners and other substantial fare on the daily! With an extensive breakfast buffet offered seven days a week and a sit-down lunch offered every Sunday, the Manor Kitchen churns out exquisite food morning, noon and night! Dinners at the Manor Kitchen are unparalleled and marry the perfect balance of unique flavours and textures to produce culinary delights every time. Worth noting is that Lanzerac also does a high tea in the Manor Kitchen every Saturday! Thought this list was finished, well, it’s only the beginning! In addition to the Deli and Manor Kitchen, Lanzerac is also home to the Taphuis – A gourmet-style pub offering platters for sharing and light meals in a relaxed environment overflowing with country charm. “The menu boasts homegrown food sourced from local farmers and suppliers, prepared with creativity and originality by the resident team of chefs. Dining options are either indoors set against an impressive handcrafted bar and large roaring fireplace, or outdoors on the shady terrace complete with garden views”. Finally, Lanzerac’s Craven Lounge represents the ultimate place to sit back, relax, and enjoy some spirits in fine spirit. Open 5pm till late, the Craven Lounge has both a fully-stocked bar and a cigar lounge to boot! For more information on the specifics of wining, dining, playing, exploring, spending and convening with nature in sunny Stellenbosch, be sure to check back soon for part five in this, our Things To Do In Stellenbosch series. Next, we will bring you a list of insider insights into the very best places to convene with nature and whip out those green thumbs in Stellenbosch and surrounds!